Ethiopia has launched the initial phase of its space exploration program which includes East Africa’s largest observatory. 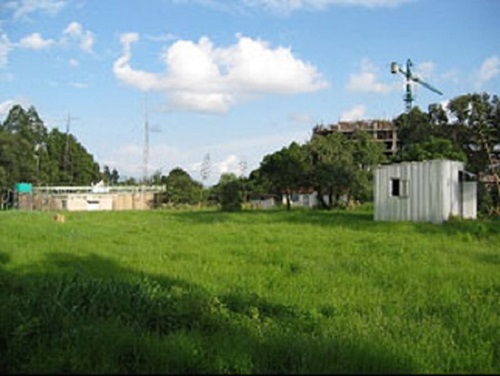 The $3.4 million observatory located 3200m above sea level in the outskirts of Addis Ababa is expected to begin operating in a few days. It will be run by the Ethiopian Space Science Society (ESSS) with funding from Ethiopian-Saudi business tycoon, Mohammed Alamoudi. The observatory will be used for collecting data, conducting research and building local and regional interest in astronomy, but the possibility of sending an Ethiopian to space one day cannot be ruled out. Several sceptics have questioned the necessity of the program, considering the fact that Ethiopia is among the poorest countries in Africa and the world. Belay however told AFP that promoting science and technology was important to Ethiopia’s development. “If the economy is strongly linked with science, then we can transform a poor way of agriculture into industrialization and into modern agriculture,” he said. He added that the country also stands to benefit from “astronomy tourism” since the observatory is expected to attract some fans from Africa and the world. Ethiopia will launch its first satellite in about 3 years. The satellite is expected to be used to study meteorology and improve telecommunication in the east African nation. In preparation for this, the ESSS also plans to construct another observatory in Lalibella very soon. Already experts are reported to be exploring the site for the best area to set up the observatory. Many African nation shave shown interest in getting close to the stars. In 2009, the African Union announced plans to set up an African Space Agency. Currently, about 8 African nations have already set up space-related programs and others, including Ghana, are expected to join the ranks in the next few years.